Stay up-to-date on new releases, upcoming trainings and other events. We believe that personal communication is a vital aspect of human interaction. Saltillo is dedicated to making personal communication possible to individuals who are unable to use their natural voice. Expertly engineered to help people find their voices, the exclusive tablet technology and Android-based Chat software you've come to love in our original Chat Fusion is now available in a more compact size to fit a variety of needs for communicators at all levels. The new Chat Fusion 8 offers front and rear cameras to enable device users to customize pages to meet their needs. It also has an extended battery life, and multiple access methods including Chat Point (optional headpointing), and single or dual switch scanning. A wheelchair mounting plate has been included for your convenience. Chat Fusion comes with an 8" screen and weighs only 1.9 lbs making the device easy to hold. A stand and handle are built into the design, and a shoulder strap or waist belt are available options for hands-free transporting. A docking station with WIRELESS charging capabilities, and a screen touch wake-up setting allow those without fine motor skills to easily use the device without assistance. 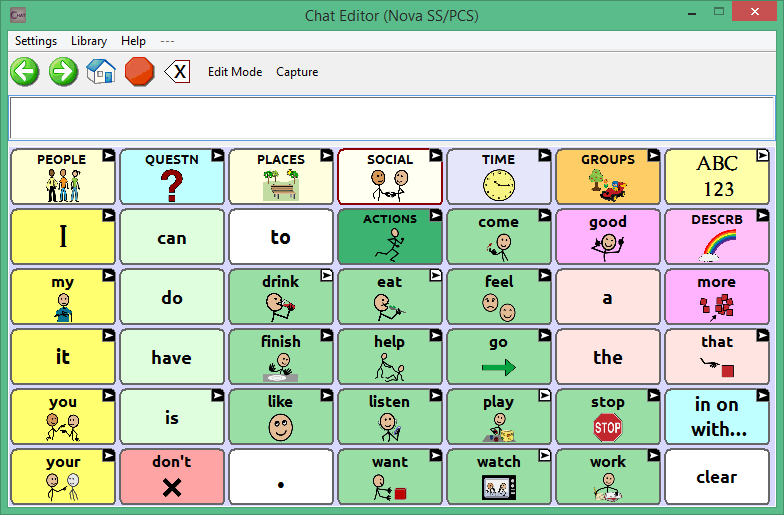 The same vocabulary configurations that you have grown to know and love on the NOVA chat provides options for each individual that uses Chat Fusion. Thousands of SymbolStix™ symbols are included, and PCS™ symbols can be added. How do I purchase a device? Chat Editor is a supplemental program that has been provided for customizing the Chat vocabulary on your Windows desktop or laptop computer. 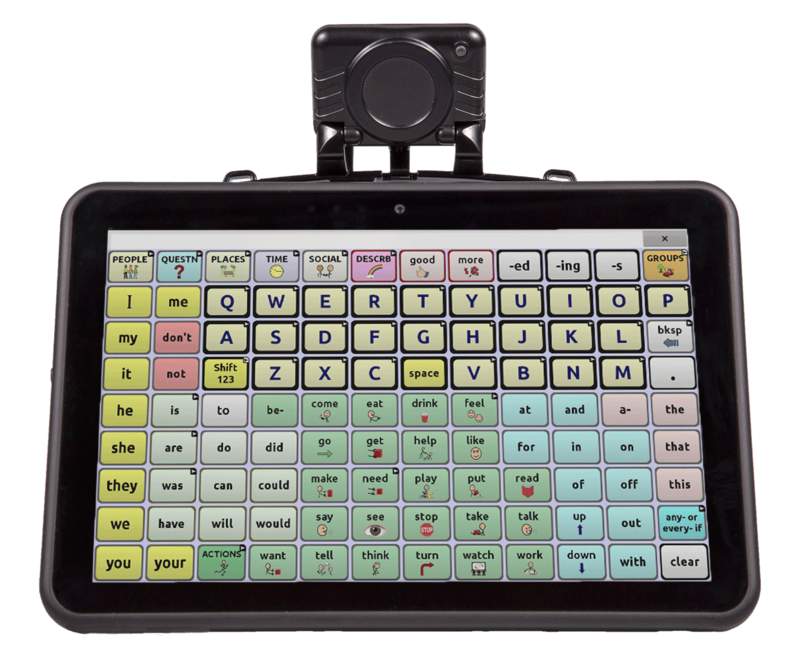 Although customizing is also possible on the device itself, the Editor allows the family and/or professionals to customize the vocabulary when the device is not present. Note: Having the custom vocabulary on a computer is always recommended as a backup to the device. Quotes are available from the Silver Kite online store. To obtain a quote, add products to your cart, and select "get quote" during checkout. Get answers to the most commonly asked questions on our FAQ page. Funding may be available for your Saltillo device. I have a device, now what? At Saltillo, we strive to offer comprehensive training and support for your Saltillo device. Feel free to contact your local Saltillo consultant for in-person training and support, take one of our online training courses, or visit our implementation section for tips, tools and materials to help you get started. Please use the form below to contact us with any questions you might have. For concerns or comments regarding our products and services please fill out our Feedback Form. reCAPTCHA content is provided by Google. Please report any inappropriate content using the report a problem link below the images.